What Is the Prognosis for Lung Sarcoma? 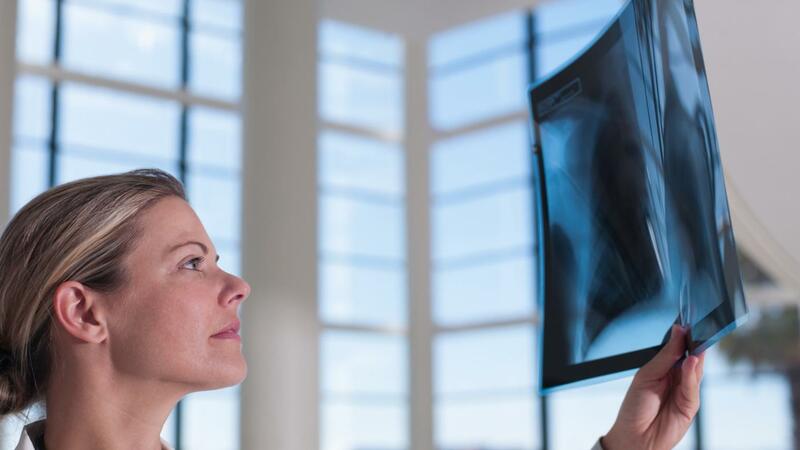 The prognosis for lung sarcoma is mixed, with an average five-year survival rate of 50 percent, according to the American Cancer Society. Early diagnosis improves the survival rate to up to 83 percent if the cancer is discovered early and is localized. The average five-year survival rate is based on all types of sarcomas, including Kaposi sarcoma, which has a poorer outlook than other types of sarcoma, states the American Cancer Society. Sarcomas are grouped together on whether they are localized and have not spread, have spread to nearby lymph nodes, or are distant and have spread to other organs. As with most types of cancers, a person's prognosis improves if the cancer is local and found before it has spread. If the cancer has spread to nearby lymph nodes, it is classified as regional, and an average of 53 percent of patients survive five years or longer. If the sarcoma is classified as distant, the prognosis drops to 16 percent. Of the people who have been diagnosed with sarcoma, the majority have been discovered when the cancer was regional and at its most easy to treat, states The American Cancer Society. 56 percent of people diagnosed with sarcoma were diagnosed when the cancer was local. 19 percent were diagnosed when the cancer was regional, and 16 percent were discovered when the cancer was classified as distant. What Is the Prognosis for Stage 4 Lung Cancer? What Is the Prognosis for Someone With Stage IV Pancreatic Cancer? What Is the Prognosis for Early Stage Prostate Cancer? What Is the Survival Rate for a Person With a Gastrointestinal Stromal Tumor, or GIST? What Is the Prognosis for Someone With Leiomyosarcoma? What Are the Odds of Survival for Stage I Lung Cancer?